A killer plays back footage of his crimes. The notion of the killer having an agenda and leading us through a recording of his crimes is the only actual idea at work here, leaving the rest of the film to dawdle around in search of a point. And gosh is it dull. Found footage horror films have become so ubiquitous that filmmakers are hard pressed to add anything new to this crowded sub genre. And sometimes they really shouldn’t try. 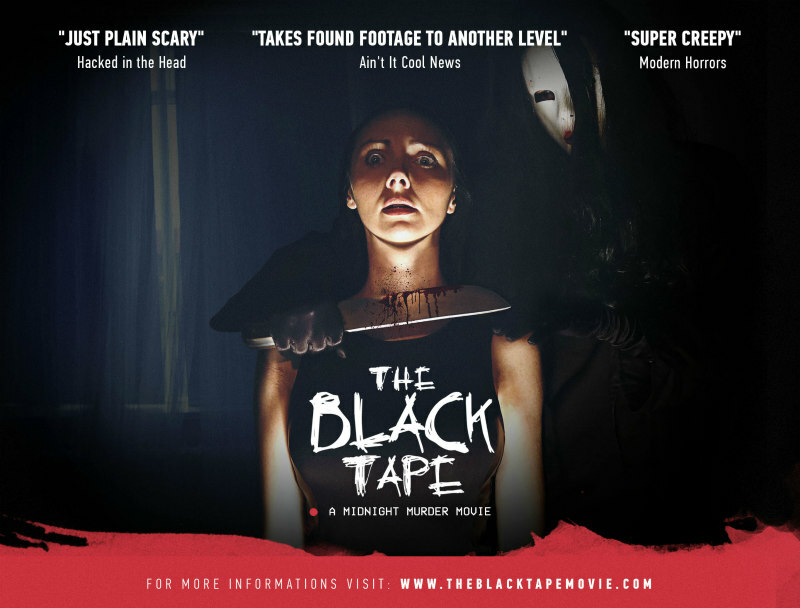 The Black Tape would very much like you to believe that it is a film which was shot and edited by an actual murderer, with the final product found and played back for the world to see. It’s not a bad idea, because it gets around the familiar issue of how these types of movies have been so carefully edited. And the opening finishes with the phrase ‘murders by me’, which is again somewhat new for this genre. Mostly that’s because first time filmmaker Ramone Menon doesn’t seem to have any idea what he’s doing. There’s a fractured narrative to no real purpose, a random collection of characters and frequent shots of a masked killer holding up title cards. A lot of the film is slow POV shots of the killer wandering through rather dull houses while people somehow fail to see him, or static shots from cameras presumably left in various rooms. How they’re also not located is beyond me. There’s some appalling acting on display as well, with awkward words spilling from the mouths of people who seem unfamiliar with normal speech and any notion of drama. Some are slightly better than others but I was quickly rooting for the murders to come along a little quicker. It doesn’t help that most of the more emotional scenes are played in wide shots that make it impossible to see the performers, and the dialogue is often quite muffled. Speaking of which, the violence is pretty low key and not all that interesting, and any sense of suspense created by the first person viewpoint is so familiar it loses all effect. When the finale comes, you’ll probably have long since guessed the twist - and it’s hard to imagine anyone really caring too much about the outcome. 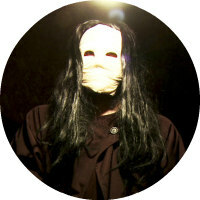 Probably the biggest shock in The Black Tapes is that it isn’t the work of a single deranged madman; there was actually a sizeable crew of presumably professional people working behind the scenes. For what it’s worth, some of the tech specs are reasonable but otherwise this is a dull entry into the found footage scene, with a single decent idea left to flounder and fail.